Step Up and Seize Your Opportunities! Personal and professional risktaking looks and feels differently when we're in our 20’s, 30’s, 40’s, 50’s, and as more professionals postpone retirement, even our 60’s and 70's! 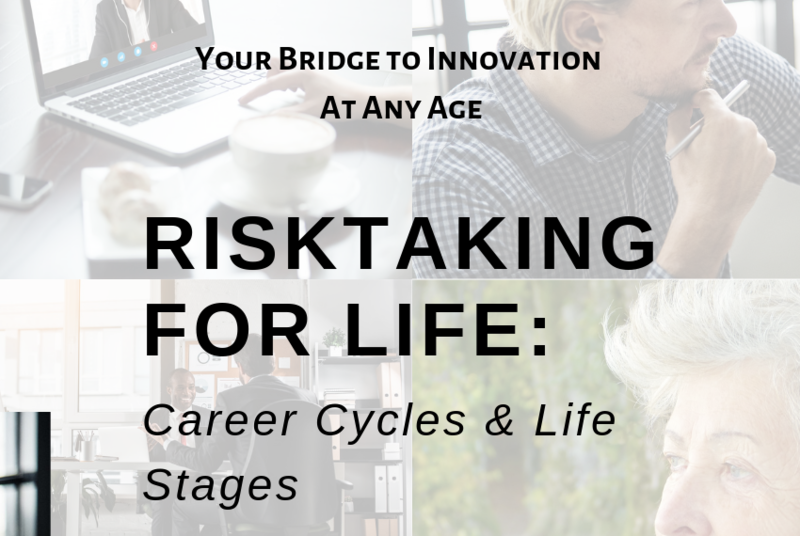 In this live master class series, you'll learn how to prepare for professional and personal risktaking challenges at different stages of life. What does responsible risk look like today when people are challenged to sacrifice quality for speed or discipline for the easy way out? How can you attract more “YES opportunities” that align with your personal values and ethics? How do you effectively design mitigation and resiliency into an integrated, informed risktaking plan without taking the creative juice out of it? You’ll discover a myriad of ways for using temporary setbacks to your advantage as you pivot, reinvent and transform yourself as part of a larger lifecycle. Join now! Membership rate increases April 2 - Master class kicks-off April 11! Can personal risktaking really be taught? Informed and responsible risktaking is a skill like many capabilities that you include in your portfolio of skills. Far too often, professionals shy away from building this capability because of previous painful experiences, because someone has not given them permission to do so or because they never learned how! We take a different tack in preparing you for taking informed, responsible risks. We'll pass along our knowledge and deep experience, supporting you as you build your self-confidence by applying these new skills in business and at work. What if I can’t attend the live event? No worries! We’ll record the events and post them to the course site. If you’re unable to attend one of the 8-week classes and have a question that you’d like answered, you can email Dee at dee@seedingchange.link or post your question in the forum. What is a Skill Development Clinic? SDC’s are drop-in events with a focus on strengthening targeted areas that we cover during online or live master classes. The intent is to provide Seeding Change members with opportunities to “try on” what they’ve learned. We take your advance questions and requests and craft an interactive, live event where you’re welcome to join for all or part of the ninety minutes. Volunteers might want to engage in role play in order to practice what they’re experiencing in the workplace or we might invite a guest who will delve deeper into a specific area of their expertise. Think of SDC’s as a structure-less event where agendas are fluid based on the needs of our members. Will you offer a women-only class on risktaking? If there’s enough interest from Seeding Change members, we’ll consider offering another live Risktaking for Life master class series in the fall—specifically for women.